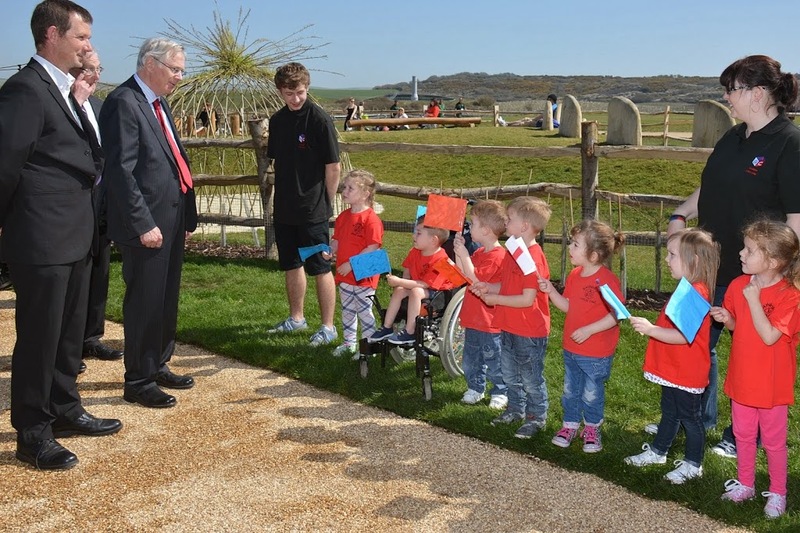 The Big Park got the royal seal of approval this month when His Royal Highness The Duke of Gloucester declared it ‘… one of the best parks he has visited’. The Duke spent time meeting the park’s project team; the skate park designers , architects , landscape architects, playground builders and designers. A number of school children from Meridian School, Peacehaven Heights and PCS lined the route and also had the opportunity to see the Duke and wave their handmade flags. Here is our favourite picture from the day. Once again the sun shone on the Big Park!